Serum is a wavetable synthesizer plugin created by Xfer Records that has completely taken over the music production world as the most used synth plugin. It features a visual and creative workflow-oriented interface that makes creating and altering sounds fun instead of tedious. Since its release, Serum has quickly become the most popular software synthesizer for music production. There is no other synth more widely used, reviewed, and supported by professionals on the market. And there’s a good reason for this. 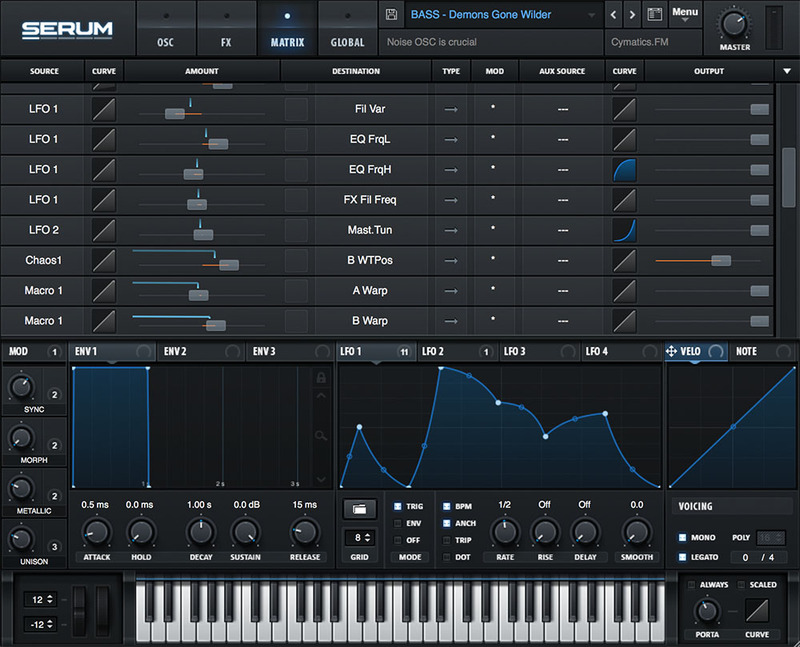 Serum’s complex, high quality, and easy-to-use design makes it stand out as the best wavetable synthesizer available. Serum is the synth that many producers have been waiting for. This is because with it’s intuitive design, it’s easy and fun to create the exact sound you need! Not only that, but for those of you who are not looking to do too much of your own sound design, this software synth has a huge variety of high quality presets available. It’s pretty clear that Serum is a powerful tool to add to your arsenal. With all of this information, you’ll surely know whether the Serum VST plugin is the right choice for you! Download hundreds of free Serum presets & wavetables: Click Here! Huge online community dedicated to Serum tutorials, presets, and more! As you can see, the benefits of owning Serum far outweigh the drawbacks of the synth. Because of that, it should be pretty clear that the Serum VST plugin should be the next synth to add to your collection! Why Serum Is The Right Synth For You? Serum was designed with every producer in mind. Whether you’re a seasoned veteran of sound design or somebody just looking to use presets, you will absolutely love this synth. The workflow was designed to make the life of every producer easier. With the visual workflow of this synth, it’s easy to see exactly what you are doing. While many other synths have a variety of obscure functions, Serum lets you know exactly what is going on with the sound you are generating at all times. Even more, with such a huge community out there covering so much content about Serum, it’s probably harder to find a professional electronic music producer that doesn’t use Serum than to find one that does! The reason why Serum is so popular is because it stands out when compared to its competitors. What Makes This Plugin Special? Serum has a crazy amount of features that sets it as a leader in the vast crowd of software synths. The modulation system on this synth allows drag and drop connections. This makes it extremely easy to adjust your connections in the synth. However, a list view is also part of the synth if that is what you prefer! The best of both worlds. With so many functions that many other synths don’t feature, you can see why owning Serum can only benefit your music production. To give you a better idea of what this synth is capable of, we’re going to go over what you can expect when you get the Serum VST plugin. Want Access to a Secret Collection of Crazy Sounds & Tutorials For Free? Click Here! Dual Wavetable Oscillators allow you to create a huge variety of sounds. You can choose any of the 100 factory presets, import your own, or download presets from a third party! Included with the oscillator section is a sub-oscillator and a noise oscillator (with over 200 unique options) as well. With the Dual Wavetable Oscillators, the possibilities are endless! Serum includes an impressive 75 filter options. This leaves many other synths with only 4 basic options behind. It features many intuitive controls of the filter such as Cutoff, Resonance, Drive, and Fat. These options allow you to tweak the filters to your exact liking. 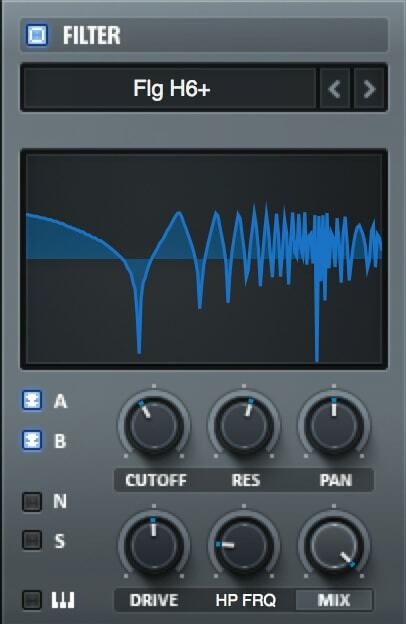 Serum features 10 unique effects that add character and texture to your sound. These effects include Delay, Reverb, Hyper / Dimension, Flanger, Phaser, Chorus, Compressor, EQ, Distortion, and Filter. These effects are routed in the order they are placed on the list of effects! This makes it extremely simple to rearrange them with a simple drag and drop. The Serum VST FX version will help you use this valuable aspect of this synth on sounds generated outside of the plugin. Serum provides an insanely detailed modulation panel. This panel features 4 Macro Controls, 3 Envelopes, and 4 LFO Modules. This interface is designed to make it extremely easy to see what is going on with each of your parameters, as they are all listed out for you to adjust to your liking. These key features really allow you to squeeze some extremely unique sounds out of this software synth. Serum is a versatile software synth you can use for any genre of music. To show you this, here are a few examples of what Serum can sound like! Now you know why Serum is the most popular software synth out there! The Serum VST plugin is definitely one of the easiest synths to use! With the growing community revolving around this synth, there are more reasons to own this synth than there are not to. And guess what? You can actually try Serum before buying it! To download the demo version of the Serum VST plugin click here! Do you want better drum samples? Download our best free samplepack "100k" and improve your sample library today.